I started having painful contractions. We rushed to the hospital. Owen was born minutes later. I woke up the morning of my due date expecting an ordinary day. With our other children, I went into labor in the middle of the night or the early morning hours. My assumption was that I have morning babies. And my intuition was that Owen was going to arrive after my due date. Around lunch time I took a due date photo and posted it on Facebook, having no idea that Owen would arrive just six hours later. We had lunch, followed by reading time and nap time. I slept great and woke up feeling refreshed. Of all the things I wanted to accomplish before Owen’s birth, only one remained: stocking the freezer with a few batches of protein pancakes. Around 3:45 or 4:00, I noticed I was having extremely mild contractions about five minutes apart. I kept making pancakes, because I was pretty sure it was false labor. Labor contractions five minutes apart should be more painful, right? At 4:17 a friend texted saying, “Happy ‘baby due date’ day.” She texted again at 4:31 asking if I had any signs of labor. At 5:05 I responded that I might be in early labor. It was around that time when things really started picking up. I told Aaron we should start timing contractions. Using an app on his iPhone, we started timing contractions at 5:11. They were four minutes apart and lasted close to a minute. I was in the middle of a project—making the pancakes—and I wanted to finish. But I knew we still had some last minute things to pack for the hospital. I decided not to start the last batch. Aaron had gone to the gym that afternoon, so he wanted to shower before heading downtown. He and I packed our last things (with the help of Kayla and Madeline) and were ready to leave around 6:15. We said good-bye to the kids and headed out. It was snowing as we drove. The roads were pretty slippery, and we weren’t sure we could make it up the hill on Michigan Avenue. We made it, barely, and pulled up to the hospital entrance. We walked inside, told them I was in labor, and walked to triage. For those who know me well, it’s probably no surprise that I turned down two offers to ride in a wheelchair. Looking back, I’m wondering what I was thinking. 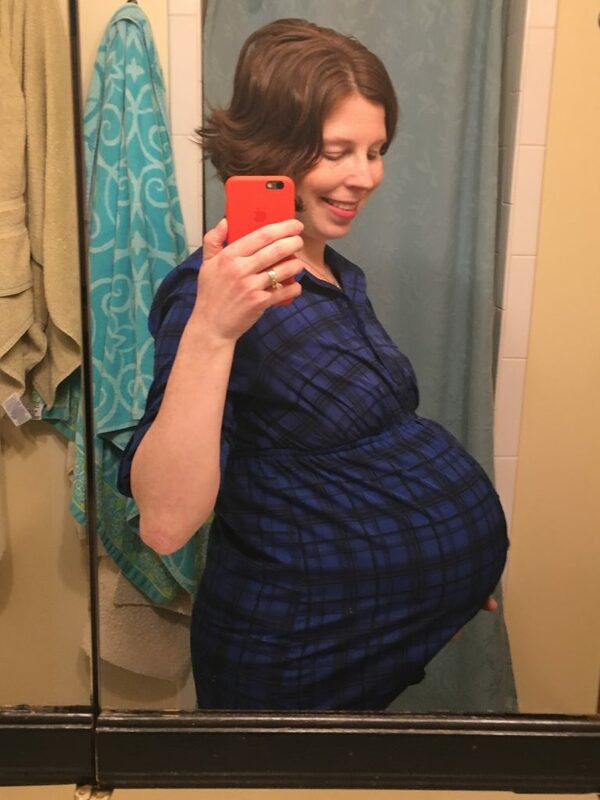 When you’re as far along in labor as I was, the last thing you want to do is move! The memories that comes next are a little blurry in my mind. I know Aaron left to park the van and a couple nurses asked me questions (which I could barely answer) and took my weight. The nurses were ready to take me to a room to determine if I was really in labor when a powerful contraction came on. Aaron wasn’t there for me to squeeze his hand, and the nurses didn’t volunteer to let me hold their hands. The contraction was the worst one yet. I grabbed the arm of the chair, and at the end of the contraction my water broke. The nurses moved me to a wheelchair and took me straight to the delivery room, with Aaron joining us on the way. I don’t know how many nurses were there. I don’t know when the doctor arrived. I don’t know when the neonatologist arrived. A nurse listened to Owen’s heartbeat once and checked that I was fully dilated. The doctor introduced herself to me, and with the next contraction, Owen was born. There was no time for the birth plan. No time to give the nurses the cookies I had made for them. No time to meet the nurses or even count them. But my boy was here! Right away his little lungs filled with air, and he cried and cried and cried. The doctor placed him on my chest, and he lifted his head and looked at me. Owen was born at 6:45 p.m. He was born so quickly that his color wasn’t great at birth, but by ten minutes he looked wonderful. The neonatologist determined he was healthy and doing fine. There was no need to visit the NICU. 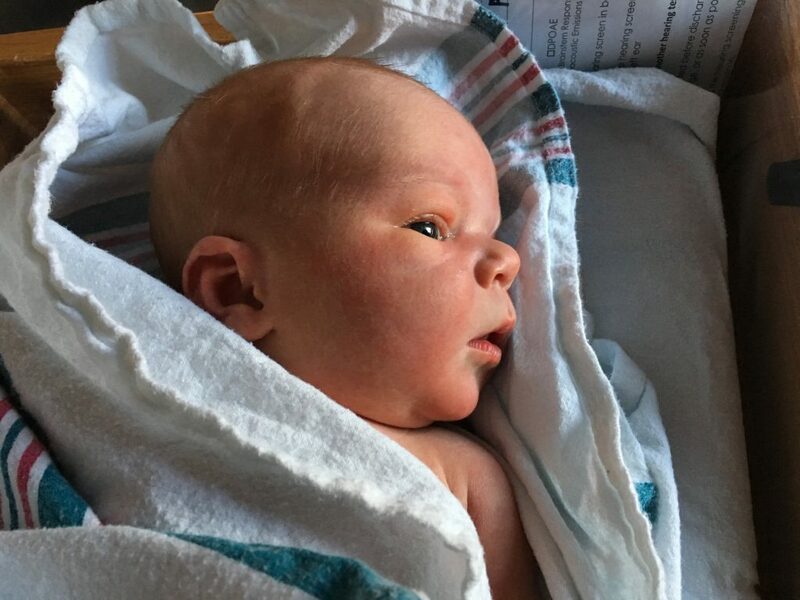 Owen weighed 8 pounds, 12 ounces, and was 19 3/4 inches long. And that’s the story of Owen’s birth. From the time I knew I was in labor until he was born was about 1 hour and 45 minutes. God watched over every detail, and we thank Him for the wonderful gift of our son, Owen Daniel Kerr. Many have asked if Owen will need surgery in the future. Unless the mass in his lung disappears, Owen will have surgery when he’s about 6 months old. 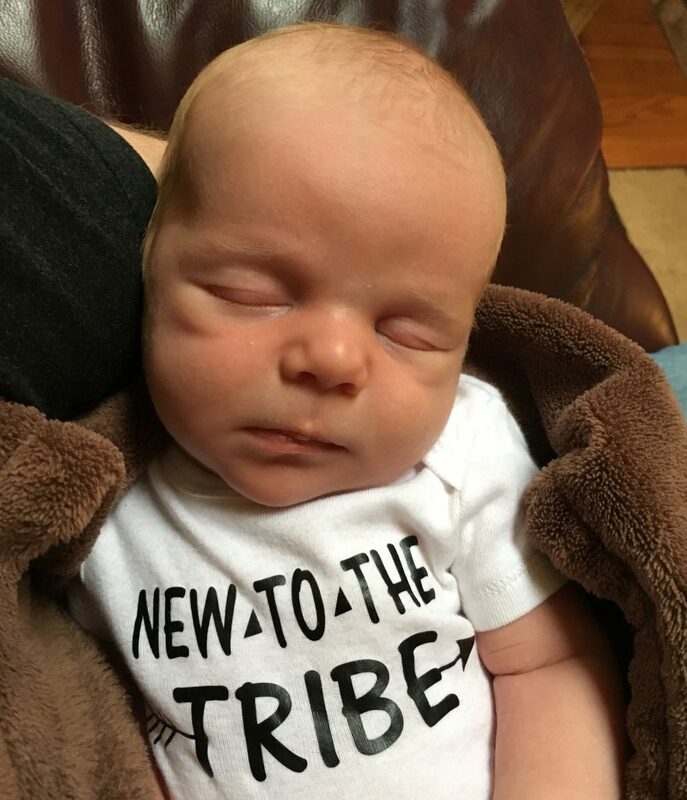 While he is breathing and doing fine now, cystic portions of the lung can easily become infected, and babies with CPAMs can be more prone to pneumonia. There’s also some belief these masses could become cancerous later in life if not removed. The surgery would be a lobectomy, the removal of the lower lobe of Owen’s left lung. The good news is that lungs continue growing until a child is about eight, so Owen’s lung should have plenty of time to grow to a normal size. We praise God for protecting Owen while he was in my womb, for protecting his heart as the CPAM pushed it and moved it out of place. We’re thankful for Owen’s smooth birth, and we trust God will get us through the last phase—his surgery. I am so very happy for you. God bless all of you. That is a special story. My daughter’s birth was similar(1967)….Almost came on a Calif. freeway! But we made it there. Today she’s my nurse, hairdresser, I’m her mannequin on Sunday mornings! She’s truly all I could have asked for! God is good.